Sunday, June 30 will mark the beginning of the end for one of television’s top shows. 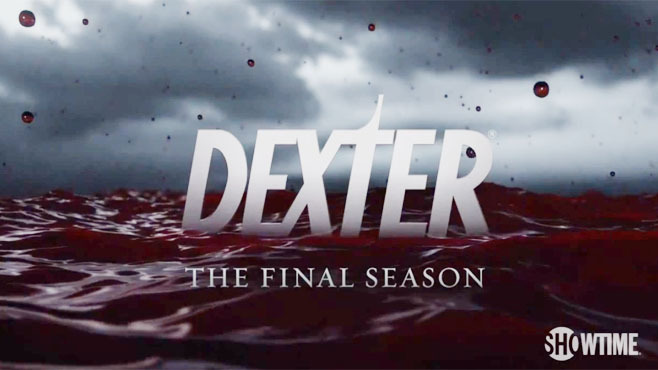 Dexter will be ending it’s run after 8 seasons, leaving a cult following behind. Since The Sopranos left HBO a few years ago, there hasn’t been much on cable television that interested me besides Dexter and Breaking Bad, so it will be sad to see one of my favorite series laid to rest. Before I go into an all-out eulogy on Showtime’s hit series, let’s look at what is yet to come on this final season. First of all, when the show ended season 7, fans saw Deb gun down Maria LaGuerta, rather than shoot her brother. That is undoubtedly a driving reason for her leaving the police force in season 8. It’s expected to see an even darker side of Deb this season, as she deals with the repercussions of murder. How will she react? Will she kill again? There are rumors that a spin-off series revolving around Deb could be in the works, following the final season of Dexter. As of right now, those are just rumors. As for Dexter, what will happen to our favorite serial killer? After watching the first couple seasons again, something is clear to me. Dexter has changed throughout the years. His character is nearly unrecognizable from what it was in season one. Dexter has become more human and the series has taken a more realistic turn, mainly because we are seeing a lot of the episodes through Dexter’s point of view. One thing that I’m sure fans are looking forward to is the return of Hannah McKay, played by Yvonne Strahovski. The relationship that the two had made the show that much more interesting. The passionate relationship the two had made for great television. I really hope that the two continue their relationship, despite Hanna being in prison. Or, will Hannah try to poison Dexter or those closest to him? After an eventful season 7, there are a lot of questions that need to be answered in the final season of Dexter. It will be interesting to see where writers take the relationship of Dexter, his sister Deb, and Hannah. Also something to watch for will be if any past guests make an appearance in the program. Regardless of what happens, it’s sure to be an interesting final season of Showtime’s top program. Season 8 of Dexter will air on Sundays at 8pm CST on Showtime, starting on June 30.